1. The Creator (discovers / "smartest"): Creative, new, original idea. Ancestors, yes, but something that emerges from within you. Need courage and patience. Creative spark essential. Creates a strong foundation. Contemplate your life's work deeply; go to the bottom of the well. 2. The Dancer (expresses / "most attractive"): Fluidity. Self-expression. Unselfconscious, like the dancer. Find gifts that come naturally and easily. Contemplate what has the most grace and ease, what you really love. Follows a clear inner flow out into the world. 3. The Changer (adapts / "most exciting"): Less predictable. Change at heart. Let go of what your mind thinks of as "normal." Learn gifts from life. Let go and enjoy the manifold changes. Contemplate your life's work in the most dynamic, changing, adaptable form. 4. The Server (spreads / "most approachable"): The most focused of the lines. Conviction. Capacity to influence others. Realm is people; learn to listen. Contemplate life's work as form of service; giving for the sake of others. Including quality, refinement, courtesy. 5. The Fixer (makes practical / "most successful"): Discerns what will help the world or not. If useful, makes it one's own. Capacity to go far in the outer world; most potential for success. Your gifts, when well-organized are needed by the outer world. Contemplate business, leadership, efficiency. 6. The Teacher: (contemplates it / "the wisest"): Asks "why." Stands apart from the world. A teacher who understands each born with different gifts that can be fostered. Must be rooted in patience since one's gifts can take a long time to emerge. Contemplation as path. 1. Self and Empowerment: The essence. Inner issues. Empowerment of the self; discovering your genius in life. Issues: self-assured or inadequate, insecure. A private path; digging into your own aloneness and finding answers inside. No one else can empower or disempower you. When you meet this challenge courageously, your gifts will empower others to find the same inner strength. 2. Passion and Relationship: Expressing the Essence. Relationships. Expressing the energy of passion, which always catches the eye of others. Know where your passion lies. This line learns through relationships. It's nature is to be unconscious. If shadow rather that gift/siddhi expressed, all kinds of problems ensue. Challenge is to listen to and observe the feedback of those closest to you. They provide the mirror. 3. Energy and Experience: Since the third line is all about change, need to look at your life as a journey, and how you will spend your genetic inheritance. Your life is about experience rather than the result. The journey is the goal. Its not what you get from the experience, but that you have and learn from them. Trial and error always occurring. 4. Love and Community: The challenge of finding the balance of being alone and being with others. How to combine your need to be of service with your need for space. At the shadow frequency go from extremes of exhaustion to feeling cut off. All about love - the love of being alone and the love of ones friends. View your life as a quality to be shared with others. Gift to touch people's hearts and bring them to one's point of view, but must be most ethical. 5. Power and Projection: The fifth line has a mystique that attracts others. This is uncultivated. People will be drawn to you no matter what you stand for. At shadow frequency always incurs disappointment. Must learn how and when to express yourself so you will not be misinterpreted. Your passion can arouse all kinds of projections. Personal and professional boundaries are crucial. Express yourself with economy and clarity. 6. Education and Surrender: The six moves though the story of all of the lines in a single lifetime. So much to learn before one's dreams can come true - plus your understanding of your dream will change! Surrender and trust in life is the key. The six is the long-term view and the perspective from the roof of the house or mountain top. Education is crucial in becoming the role-model for others. Deeper than success or influence, it is about connection to the future. Willing to sacrifice personal goals for collective ones. The 1st line Radiance requires solitude in order to achieve breakthrough. However, solitude must not come as an enforcement. It must become a deep love. When you look into the Gene Key of your Radiance, if it is a 1st line, consider how the Shadow may unsettle your inner quiet. Solitude is not an extreme – rather it is an inner state. You can be in a healthy relationship and still enjoy endless solitude. When the poet Rilke said: ‘to walk around inside yourself and meet no one for hours’ this is what he was talking about. The more deeply you relax into your Radiance, the more alone you become and at the same time the more connected you become. It is a wonderful paradox. All Radiance, no matter which line it is filtered through, begins its breakthrough by means of a deep love of solitude. The measure of your Radiance is how close it makes you feel to others rather than how distant. This is a statement worthy of deep contemplation. If you have a 1st line Radiance then you will doubtless need to spend time in physical solitude, and this may also have an effect on where and how you chose to live. Although the 2nd line Radiance is keynoted ‘Marriage’, this may not be a literal interpretation. All 2nd lines thrive in one-to-one relationships, but that can mean many things. Your Radiance requires biofeedback rather than simply emerging in solitude like the 1st line. This means that your Radiance may emerge when you are in nature, or when you are in movement or both. You simply need to be in an intense relationship with something or someone. When you look at the Gene Key of your Radiance, contemplate how it might naturally flow into some kind of relationship in your life. What do you love doing? Who do you love being with? What will you marry your life force with? These are the questions to contemplate because these are the possible outlets for your Radiance. 2nd lines often find one thing or one person or one place that lights them up, and until you give your attention to that relationship, your Radiance will remain in a sense unplugged. Like the 2nd line, the 3rd line Radiance also needs biofeedback but in a totally different way. The 3rd line needs diversity and change as opposed to the 2nd line needing exclusivity. If you have a 3rd Line Radiance, you will probably thrive when on the move. You may love to travel, or you may love a place because it offers so much diversity. The 3rd line is also likely to enjoy the urban environment with its many possibilities as much as the wilderness. For you, Radiance is all about interaction. It’s not so much about the results of the interaction but the exchange itself – whether that is ideas, experiences, knowledge, business etc. The 3rd line Radiance needs to be in the thrill of life. It needs to move through all manner of experiences and yet without becoming overly attached to any single experience. Your breakthrough may come as you let go of the idea of having goals or expectations and simply enjoy swimming through the many phases of your life. Having a 3rd line Radiance will take you through all kinds of life experiences, which taken together may make you a very compassionate person. For this reason, many people with 3rd lines find themselves helping those less fortunate than themselves. The 4th line Radiance represents the path of the humanitarian. This is a Radiance rooted in aloneness but that is directed outwards towards helping others, and specifically people. With a 4th line Radiance you will have a magnetic ability to draw people towards yourself. Ironically at the Shadow frequency this works against you because you will draw those people towards you who are not healthy for you. However, at the higher frequencies you can be the focal point for all manner of talented people. If you have a 4th line Radiance this makes you potentially a very influential person in the world, and the purer your aspirations, the further your reach will travel. On a personal level, your body thrives when you are in the company of those you love and trust. The worst thing you can therefore do is cut yourself off from your community. Because of its approachability the 4th line often has the most refined people skills and thrives working in teams. At its highest level, the Radiance of the 4th line can reach out and open up the hearts of other people. The 5th line Radiance has a higher purpose designed to have a wide impact in society. Of all the lines, the 5th line Radiance is the most beguiling and mysterious. If you have a 5th line Radiance other people will always sense that there is something special about you, and that you may be able to help them in some way. It doesn’t matter what your outer role is – people are really drawn to the inner essence. If you shy away from your power, you will therefore be hiding your light under a bushel. As a 5th line, you may feel that others have an unrealistic expectation of you, and this may be true, but you shouldn’t let it stop you from having a positive impact in the world. You are a born leader, and your Gift will always seek a practical outlet. As long as you are crystal clear with yourself and others about what you are promising, then your reputation will continue to grow. The 5th line has a great potential in our current technological age, since it naturally has a global reach. As you contemplate your Gifts you could consider how you might use them in this way to bring beneficial change and transformation to your chosen sphere. If you have a 6th line Radiance then you probably hold a dream deep inside you. This dream may be something that has grown with you since you were young, and it is a dream that requires continual nurture. Your dream will go through many mutations over the course of your life, and it is important not to give up hope. Your Radiance contains the necessary energetic ingredients of magnetism and experience to bring about the fulfilment of your dream. With a 6th line you may not even have a clear picture of the dream inside you, although you probably sense its presence. You therefore have to be very patient as the dream unfolds. Every experience that comes your way is an opportunity to polish the dream and give it more definition. Some experiences may even appear to shatter the form of the dream in order that it can be reformed in a clearer and more practical way. As a 6th line Radiance your Gift is designed to emerge over the long term – as an impulse at the cutting edge of human evolution. Because of this, you must take the long-term view and continue to nurture your deep intent of being of service to the whole. In time, the dream will then manifest and your role within the bigger picture will become completely clear, both to yourself and to others. First Line: To have a 1st line purpose is to live a very earthy life. These 1st lines are the foundation of the whole archetypal structure of life. That is why this is about the bones. It’s about having a strong structure in life and out of that arises your sense of purpose. Remember the Radiance and Purpose are our hidden unconscious gifts. They are the texture of our being. So this is about a deep focus on the physical plane. It’s a love affair with the physical, with the body and the earth. This is not a waffly, spiritual sense of purpose. It’s about the joy of being in a form. You may have a great deal of spiritual insight, but it comes from being in your body. It’s about getting messy. It’s about working with the clay of life, the mud, the essentials of life. So whatever your outer vocation in life, your sense of deep purpose will come from the grit, from being at the coalface. Second Line: The 2nd line purpose feels very different from the 1st line. That is the kind of person that when you meet them they have a powerful anchoring presence – a density to their form that feels really grounded and connected to the earth. It’s not that they are heavy. They just emanate this physicality. The 2nd line is not about structure but flow. This is about relationship – it’s not self absorbed like the 1. It’s about how the form relates and sits in its environment. It’s the joy of feeling how a body is designed to flow through the air, whether it’s still or moving. It’s what we call posture, but not just physical posture, its posturing, how we are seen by others. You see we are liquid beings. Our structure floats in the world. We float in the quantum world, and inwardly all the systems that make up our physicality are floating. Our immune system, our blood, the fluid of every cell, we are liquid forms. So when you take the bones and apply inner awareness to them, you come to the way the spine moves. Awareness of the spine is essential to the 2nd line. Its posture. But it’s not still, even when we are still. It’s always floating, and the 2nd line is fulfilled by this sense of inner alignment and subtle movement. It’s why the 2nd lines have such gifts for dancing, for floating, swimming, sailing, gardening, whatever it is – it’s about feeling and aligning with flow. Our body’s health systems require constant internal movement to stay clean. This 2nd line is also about the reproductive system, which is also all about fluids and the exchange of fluids. This doesn’t have to be literal, but it’s the deep awareness of the sensual nature of all forms. They are all making love in the soup of life – they are all bound up in the greater flow. It’s about love. Third Line: The 3rd line takes our journey a stage further. This is how these lines build on each other. The inner flow of the 2nd line is now being expressed as the need for action and activity – this is all about movement. Core Stability through movement. Which sphere of life this movement emerges through depends on the GK. If the 1st line is earth, the 2nd line is water, then the 3rd is fire. It’s our heart, the blood and the cardiovascular system. These are people who only feel grounded in their bodies through regular exercise. Part of our purpose in this world is to stay healthy and that’s true for everyone. We all live in the field of all these lines. All the 3rd line people are out there every morning running past the 2nd line people in the park doing their Tai Chi! This is about the body. The Prime Gifts are all about anchoring your life’s work into the body. There is this incredible relationship between these two spheres, and you will see that other vital spheres lie along this line. It’s not a pathway as such, but it is the line of our individuation, it’s the line of a thriving, balanced life. Forth Line: Let’s continue our elemental metaphor...earth, water, fire, air. The 4th line is all about breath. If you know anything about the I Ching and how hexagrams work, you will know that the 4th line is the foundation of the upper trigram. It’s like being on a whole new deck. A shift takes place here. The first 3 lines are basically more introspective, in that they are concerned with the body’s own experiences. The 4th, 5th and 6th lines are trans-personal, which means that they are beginning to realize that the physical body is connected to everything else in some way. So the 4th line realizes this through the breath, because everything that is alive breathes in some way. Humans, animals, even plants breathe at a certain level as they photosynthesize light in their cells. Everything is connected through rhythm. So the 4th line wants to know more about this connecting. This is Core Stability through getting to know something outside yourself. And this can be hard work – deep intimacy with another for example. But it’s physically fulfilling for the 4th line – it’s very human. If the 4th line person isn’t living in a connected communal way with other life forms and with people in particular, then they literally aren’t breathing because they can’t connect into the rhythms of life. This is why friendship is so vital for the 4th line – because friendship offers a consistent rhythm. Fifth Line: Ether. Earth, water, fire, air, ether. That’s the medieval metaphor! In the 5th line we move a step further – into a more global awareness. This is physicality through vibration. It’s where the whole notion of frequency comes from. Everything is alive at this level, even the inanimate, because everything has a geometry and is vibrating. The 5th line doesn’t just want to explore connectedness like the 4th line, it wants to take advantage of it! You might remember the 5th line keynote earlier of the Fixer. These are the practical ones. Ok so what do I do with all this GKs knowledge. The 4th lines love it because it brings them into contact with others on the same wavelength, but the 5th lines need to know what it’s for. It’s for telling others, guiding others, even manipulating others. It’s for making money, it’s for helping people have better lives. Those are the kind of things the 5th line likes. This is the voice. It needs to be vibrated, spoken, passed on. If there is wisdom, let’s put it to use. Voice work is so grounding for these people – singing or chanting. The 5th line is the nervous system – it is acutely aware of pain and pleasure and how linked it is to the way our brains work. If we can think more clearly, if we can raise the frequency of our self-image, of our DNA, that will really bring a sense of peace and purpose. Sixth Line: When you get to the 6th line, you always get to an anomaly. The 5th line really takes it as far as it will go. So in our story, life always reaches a natural culmination in the 5th line. The 6th line is a bridge that links to another level. It links back to another 1st line, but at another level in the spiral of life. It may not have the gifts of empowerment of the 5th line, but it sees further than the 5th line. It is an anticipation. It is attuned to the very intent of life. Not your own personal intent, but the intent of life. The 4th line knows the rhythm, the 5th line feels the frequency, but the 6th line senses the intent. The intent of life is in our cells. 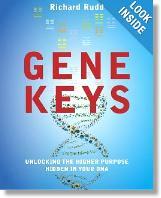 Our purpose lies coiled up in the DNA in those cells. Our body holds and keeps our secret destiny. We ripple with that intent. For the 6th line, Core Stability comes just from this subtle sensing of the correctness of all life. Our endocrine system is the master system controlling all other systems in the body through our hormones. We are laboratories, but who is the alchemist? It’s in the cells. Unlike the 5th line, the 6th line isn’t about doing, it’s about seeing. The 6th line goes through all the phases of all the other lines and then finally it gets it. It sees the truth behind it all. But what a journey it is to get there. 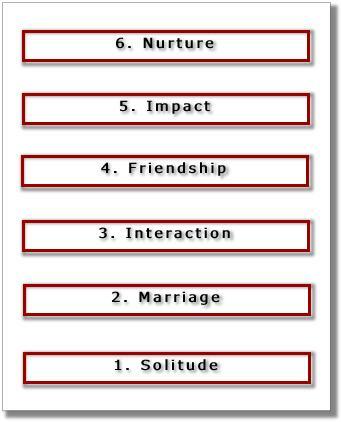 Of all the lines, these 6th lines are most likely to find fulfillment later in life. Not that they won’t have a great and exciting life – they surely will – but by design, they come into their true Core Stability later – certainly in their 40’s and more likely their 50’s. The inward-looking view at the shadow frequency excludes those closest to us. So self-absorbed it becomes the loner. A feeling of self-relience and that other people's emotions are bothersome and excessive. With the need to feel secure, can emotionally shut down at the first sign of conflict. At the gift frequency the repressive tendency becomes your inner strength, which enables you to stand up for yourself while maintaining a kind and compassionate tone. The reactive tendency to bully another person becomes instead an innate ability to listen inwardly to one’s own emotions and therefore to be able to empathise with the emotional needs of others. To stand in your Core Stability like an oak tree. You will bend only so far as your boundaries allow, but you will also allow others to find their inner confidence in relationship to your strength and groundedness. The 2nd line Purpose is about flow and posture and is linked to the power of the spine. When this energy becomes blocked at the Shadow frequency then the whole body loses its lustre and core strength. Perhaps more than any other line the 2nd line tends to get caught up in the charge of the emotional drama to such an extent that they become almost blinded by emotion. The archetype of the Accuser refers to the 2nd line’s habit of projecting their emotional pain onto someone else. At the root of their pain is their refusal to take responsibility for their own behaviour. This manifests either as a pattern of stubbornness that will not hear another’s view (the repressive side) or a tendency towards aggressive and angry outbursts (the reactive side) that serves only to strengthen the distance between those involved. The great challenge for the 2nd line Shadow is to remember their natural sense of flow in emotional situations and to allow others the space to share their feelings without being overwhelmed. Here we see the archetype of the Natural. These are people whose nature is so in tune with the emotional realm that they make all relationships look easy. Instead of blocking their own potential the 2nd line rises up on the spontaneity of their heart. No matter how powerful the emotions may feel, the 2nd line can find an easy and natural way of expressing them without in any way projecting them onto another. This deep emotional ease makes the 2nd line a natural magnet for people who feel emotionally insecure or stuck. The aura of a healthy 2nd line feels very comfortable to be around and their fluidity and sense of personal embodiment allows others to unwind, breathe and settle into their spine. We have seen already that one of the main themes for the 3rd line is commitment: how to find continuity and commitment in a life that is wired to change? If you compare your life to those around you, you are likely to try and shape your life in a way that feels more secure and stable. And when this outer stability fails, as it likely will, you may end up feeling as though you are the failure. This can be a very painful process for the 3rd line. Emotions are the lifeblood of relationships, and the 3rd line can feel overwhelmed by them at times, particularly if they have deep-seated feelings of unworthiness. This leads to the classic 3rd line archetype of the Escape Artist. In order to avoid feeling unworthy, the 3rd line develops all kinds of strategies for avoiding conflict. At the repressive level, this is really about diverting attention. This can be done in all kinds of ways but one of the most common is through humour. The 3rd line has a natural gift of humour, but at the Shadow level this is often used as a diversion. The 3rd line also has this gift of adaptability, which the Shadow will also employ at an emotional level. This can make them very slippery and hard to pin down. When the 3rd line Shadow themes are transformed by self awareness we see a very different set of gifts emerging. Transformation is always rooted in self- honesty, which brings perspective, and with this comes an ability to laugh at yourself and the way that your dharma unravels. This is the 3rd line as an emotional adventurer. Relationships are such a rich part of the human experience and once the 3rd line has overcome its fear of commitment it learns a huge amount about life and people. The ability to laugh at oneself is a manifestation of compassion. Awareness always brings this inner sense of humour because it shows you how human you are. You are fallible and things do not always go the way you expect them to. As long as you stay committed to your own honesty and to being authentic, then life can be such a great adventure. This ability to enjoy the uncertainty of life brings a deep sense of inner trust alive in you. It is where your enthusiasm springs from. This is why others will begin to trust in you without always wanting more from you. It is always down to you just ‘staying in the room’, instead of trying to find a way to escape. The Shadow of the 4th line is the Politician. 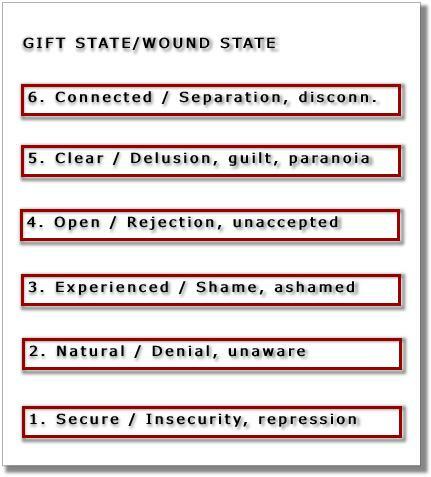 The 4th line has the ability to use its considerable social gifts to conceal its own inner fear and/or hurt. The 3rd and 4th lines are the most obviously emotional of all the 6 lines. However, at the Shadow frequency they both represent patterns that might seem the least emotional because they both use different means to try and avoid conflict and pain. The 3rd line may run, but the 4th line pretends that they are fine. During challenging emotional exchanges they may experience their heart closing off and their whole being turning emotionally numb. This numbness allows their mind to take control and manage the situation at the expense of the emotions. It is important to remember that none of these Shadow patterns are anyone’s fault. They are not deliberate. They are the unconscious genetic coping mechanisms we learned as children. So when the 4th line heart becomes numb, it isn’t because they want it to. No one wants to have a closed heart. However, this does mean that the 4th line can appear very cold when they speak from this numb place inside. Out of every one of these Shadow patterns comes a Gift. In the case of the 4th line it is the ability to parent yourself with gentleness and patience. Because the 4th line has a tendency to feel emotionally numb when put in a vulnerable position, they can also learn how to bring themselves out of this state. They do this through first of all accepting that they have shut off through no deliberate fault of their own. They then can either ask for gentle support, or if the other is unable to give that, they can withdraw and give it to themselves. Out of this awareness of how to re-open your own heart come the many great Gifts of the 4th line – the ability to teach others how to do the same for example, or the ability to be openly vulnerable and to communicate authentically when experiencing emotional pain. All of these gifts lend the 4th line a quality of softness combined with great inner strength, which makes them the great nurturers of others. The 5th line represents the Victim. In effect all Shadow states of consciousness are indicative of a victim mentality, but the 5th line captures the essence of this role. 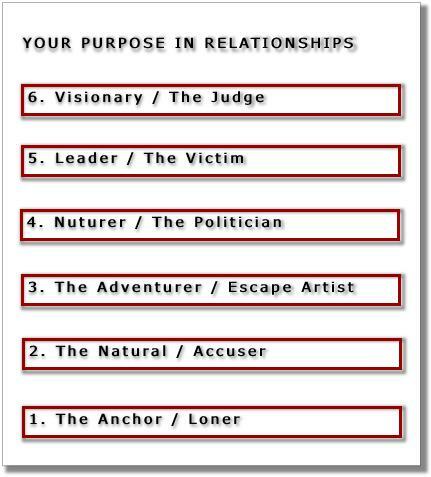 We may recall that the 5th line Purpose has to do with the voice, which is why this is also the archetype of the leader. The repressive tendency of this line often manifests as a complaining tone. The 5th line gets stuck feeling sorry for itself and can unconsciously create a whole reality around why they are worthy of your pity. This is a negative means of trying to get attention and love. On the other hand the reactive tendency, fuelled by anger, uses the voice to belittle others and make them feel small. This pattern will see others as the victim and take advantage of their weaker position or less confident character. Both of these patterns come from an inner attitude that is usually built up over time. The 5th line has to break through some deep-seated inner barriers in order to unlock its highest potential in life. At the Shadow frequency it can be trapped by its own unconscious attitude based on individual survival. When this attitude is dismantled through deep self-awareness, the 5th line emerges triumphantly with all the qualities necessary to be a true leader. The first of these is the inner strength to see clearly into one’s own being. This is the very insight that lifts the 5th line out of the victim mentality. It also allows the 5th line to help others pull themselves out of the same difficulty. The Shadow frequency lies across our planet like a great blanket, so when the 5th line awakens then the first thing it wants to do is free others from being co-dependent victims and help them to be authentic emotionally independent adults. The magnetic power of the voice of an awakened 5th line can draw many people in for help, and the practical mind of the 5th line can furthermore deliver potent solutions. This is the 5th line operating at its best. The 6th line carries a sense of detachment that sets it apart from all the other lines. This can be its strength and its downfall. At the Shadow frequency the 6th line never manages to come down from its objective perspective but remains aloof and distant. This is a classic 6th line coping mechanism ensuring that all emotional exchanges are funnelled through the mind. This can give 6th line people an air of aloofness or arrogance and can make others think they are out of touch with their feelings. The reactive tendency here is all about using one’s intellect to disempower others, although this is often not done deliberately. The 6th line Shadow can feel completely unemotional at times and has an ability to analyse other people’s emotions without being emotionally engaged themselves. This can lead to a sense of deep isolation in the 6th line. One of the key words for the 6th line Gift is Trust. They have to learn to trust in other people and to trust in their own process, which can include trusting in their own lack of feeling. As one’s awareness comes more deeply into the body, the 6th line begins to realise that the mind rarely has the answer they think it does. The 6th line Gift emerges with patience. As a 6th line you have to measure things over time. It takes time for your emotions to surface, so you have to let other people know that you often don’t know how you feel yet. When you do give yourself time, then you find a whole new part of your being coming alive. Your feelings provide such a depth of insight that you let go of your habit of going straight into your mind and you learn to include yourself in relational processes instead of watching them from the outside. At this advanced stage your mind works in harmony with your feelings and this is where your Gift of Vision comes from – it emerges out of the intent of your cells, from deep inside your body. The 6th line has an amazing sensitivity to the unfolding rhythms of life, so it always brings with it a sense of deep trust in the timing of events. This attunement to the deep wisdom of the body in turn makes the 6th line a natural person to go to for advice about anything in life. 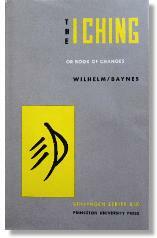 The classic "Wilhelm/Baynes" I Ching, the foundational text of our course. Use of the I Ching and practices of yoga and meditation are all ways of "invoking drala" or the spirit of guidance. Cultivating both courage and sensitivity to life attracts the drala or blessing that is universally available. 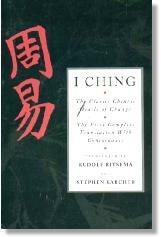 Over the course of the year, along with the Wilhelm/Baynes I Ching, these texts and others will be introduced. Purchasing them is optional, based on the degree of study you wish to pursue and your own predilection for translations you are drawn to. 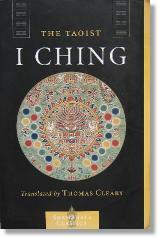 The Taoist I Ching, translated by Thomas Cleary. 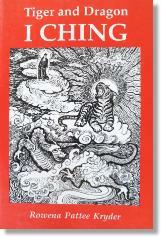 Tiger and Dragon I Ching, by Rowena Patee Kryder. I Ching: The Classic Chinese Oracle of Change. Translated by Rudolf Ritsema and Stephen Karcher. Gene Keys by Richard Rudd.